This is a review of my horrible shopping experiences with Snapdeal.com since 2010. 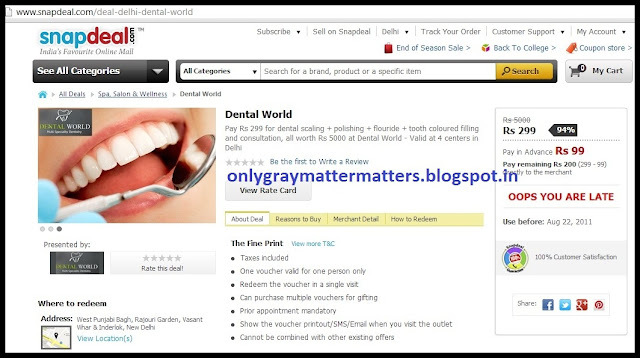 Snapdeal started as a deals website in 2010, when the concept was fairly new in India. Mydala.com had been there in 2009 but I got to know about these deals websites in 2010 when I wanted to get inked (tattooed). Currently Snapdeal has evolved into an online shopping mall and the deals are there as well. Anyways, this is the history of my shopping with Snapdeal.com. 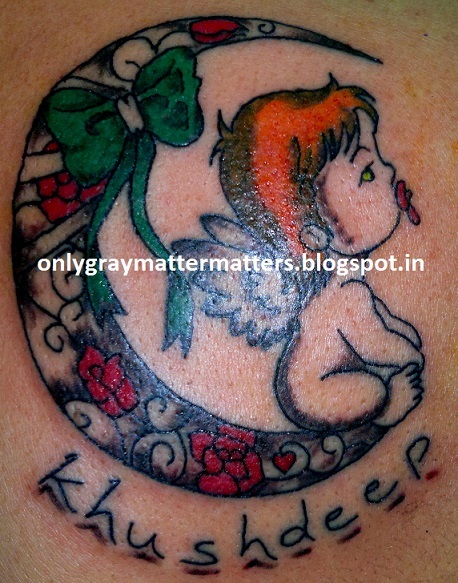 A tattoo deal came by in Sept 2010 for some Mohit Tattoos based in Gautam Nagar, South Delhi. I was to pay Rs 99 to Snapdeal and Rs 300 to Mohit Tattoos for a 3 Square inch Tattoo, which came to a tiny winy 1.5x2" tattoo. Since I wanted something bigger, Mohit Tattoos told me they charge Rs 750/sq inch for tattoo coverage area beyond the 3 Square Inch deal. I had a proper discussion with Mohit over phone and emailed him the design. He gave me an appointment and said everything will be ready. It was raining that day and the place was located in a shady market in the interiors. The tattoo parlor was closed. I was made to wait half an hour in the rain before the sevant came and unlocked the door and then another 2 hours before Mohit reached, had his rounds and rounds of cigarettes and finally made his mind to attend to his client/ me. Then this guy, stinking of cigarettes, opened his comp and started going through designs with a vague mind. When I asked about my tattoo stencil, he casually informed me that the design I had emailed won't be possible on my small wrists, something he could have told me earlier. To cut the story short, I had a bunch of butterflies tattooed on my left wrist. The guy was intricate with the design and did the first few tattooes well. But after a little while his hands went shaky (chain smoker) and during coloring, he was a complete fail. At payment time, instead of the tattooed skin, he measured the entire skin area where the butterflies were spread and I was made to pay 9000 bucks outside the Rs 3000 (down to Rs 300) discounted price. Then he sold me TatWax for Rs 800, that costed US$1-2 at that time. I had to get the colors fixed a month later after the tattoo had healed, and because I confronted him for the pricey TatWax, he gave me Tattoo Goo this time, without asking for more money. The colors mixed up under the skin for most of the tattoos because he picked up too much of black ink on the needle and some of the lines are not straight. Thankfully, I love my tattoos after the touch up because they signify my metamorphosis, but I can't forget the treatment I got at Mohit Tattoos. At that time, Snapdeal's founder Kunal Bahl used to write a personal email to each customer regarding their experience and I too received it. I informed him of my poor experience and he said customer care will contact me. They later said they have refunded my money. As you can see in the 1st pic, it says 'Cancelled' next to that order. Refunded? What, Rs 99? For something that was to stay with me forever and had to be fixed??? I didn't get even that Rs 99 and they kept giving deal after deal for that Mohit Tattoos. 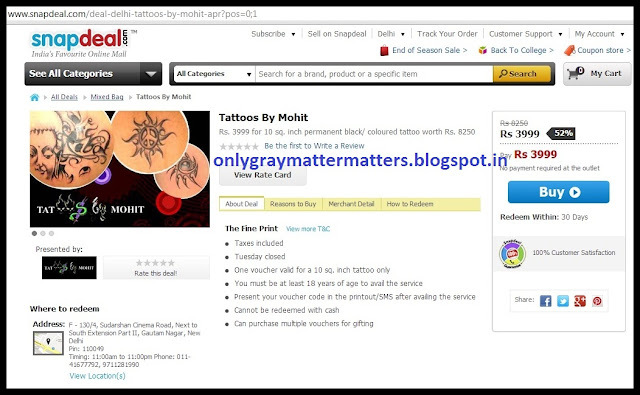 As you can see in the picture above, Mohit Tattoos is still in business with Snapdeal.com. 5 Months later I got a 12 square inch Tattoo done through a deal on mydala.com which was amazingly done by this other artist in West Delhi. I had to get my regular scaling done and there was a new deal for Rs 399 (Rs 99 to snapdeal and Rs 300 to The Dental World). The deal included teeth scaling and tooth jewelry installation on one tooth. The original price of the deal was probably quoted as Rs 2500, where as scaling costed only Rs 500-600 at that time. As I was wary from my first experience, I didn't buy that deal. One of my friends went for it at their Punjabi Bagh branch and was very happy with it. He is very scared of dentists and the fact he even got a crystal (tooth jewel) fitted in his tooth, made me take the deal, thinking the dentist must be good. 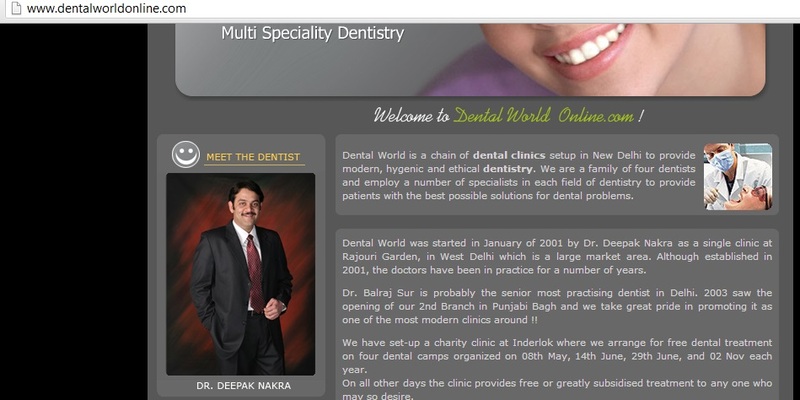 I went to their Rajouri Branch where a male dentist Deepak Nakra sits. Ridiculously he scaled only one side of my teeth and said the deal included only one side scaling!!! Can you believe such hidden terms? Argghhhh, I ended up paying for the full scaling and for the tooth jewelry, he said "It's just for fashion and to lure customers into the deal. You look sensible, don't go for it". And that was the end of it! 3 years later I discovered recently that snapdeal now sells stuff at their own site. I was looking for non-toxic colored chalks and a towel for my son. I googled and snapdeal popped up. I thought it may have improved over these 3 years. First, the order was shipped more than 48 hours later. Then even for 2 items, they split the order. The towel came first, but a different design from what I had ordered, which my Son is still unhappy about. They arranged for a reverse pickup but that meant another 15 days or so and I needed the towel, so I kept it. A couple days later the Chalks arrived. I was down with viral so couldn't get to it. 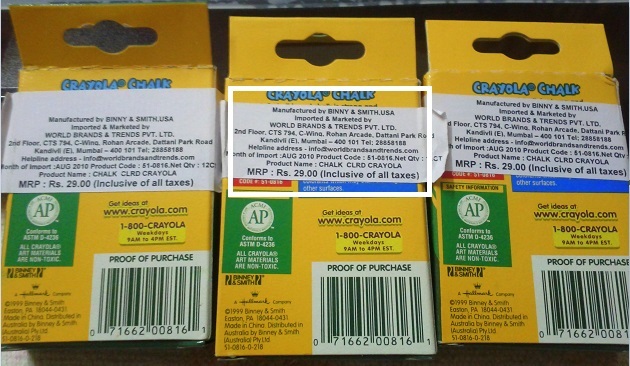 I opened the packet the day before and saw 3 packs of colored chalks Rs 29 each, meaning total price Rs 29 X 3 = Rs 87 and Snapdeal.com charged me Rs 120 for it!!! Moreover, the chalks are all broken into 2 despite proper bubble wrap, which means they were like that at the warehouse itself. UPDATE: Jul 30, 2013. Snapdeal has initiated a refund of Rs 120 for the colored chalks though I had asked them to return only the additional amount. If you value your time, money and peace of mind, don't be lured by such third class deals. I have heard from so many friends in Delhi that people who go to businesses with such deals are treated very mean as if they did something wrong by buying a discounted deal. Businesses don't need deals to lure customers, they need to learn customer service. Once the customer is respected and pampered, they will willfully spend more with you, even if you are not renowned. Oh my god, thats horrible...When snapdeal started i got very tempted every time i saw a tattoo deal...but something always stopped me..i am glad i never used their services. Actually there are some good artists too and by now with 3 additional years of experience, even Mohit would have improved considerably. But you need to spend time with your tattoo artist beforehand and see their live work, and then decide to get yours done. Thanks for sharing your feedback Niharika. That's really bad. What I discovered is that probably they don't even have a warehouse. They have direct tie ups with these dealers and the shopkeppers/dealers directly ship the item to the customer, which means absolutely zero quality check on the part of snapdeal. The packet I received had the business's address mentioned as the sender's address and not snapdeal's though the plastic wrap had snapdeal printed on it. I think they should have refunded your money. Oh my God that was seriously horrible!! I liked that Khushdeep's tattoo. It was a fine example of poor customer service. Yes, very poor customer service but it's equally our responsibility to let them know we understand what they are doing to us. When I confronted Mohit Tatoos on my 2nd visit for a touch-up, he literally begged that I should not complain as it will affect his business. I told him he should have been responsible in the first go and also not have charged me 10-16 times for the tat wax. Yeah! You are right Gagan we should. He didn't cared for his customers in the first place and then was asking not to complain. How selfish and unprofessional that guy would have been. That is a terrible ordeal you had to face all three times. This is disgusting customer service. Cant anything be done to make them more responsible? I gave them a good piece of my mind and they have emailed that they have refunded the additional money they charged this time. OMG this is irritating. Thanx for making readers aware of such fraudulent sites! 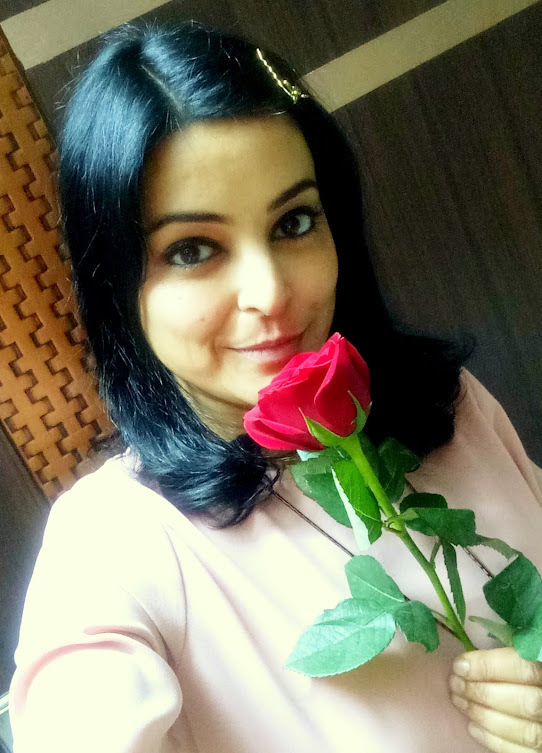 I read many other reviews Megha and it seems I am not the only one. They have the same reputation with a majority of customers and sadly they have never made efforts to improve. this is the worst of customer service i have heard gagan.. i have heard and experienced these e-commerce sites irritating people on return/exchange of products, but nothing like this. thankfully i did have a chance to shop with snapdeal. i will ignore this site for good now! I think because of such bad experiences with a lot of customers, Snapdeal was probably losing business when it finally jumped the e-commerce bandwagon. But I compared their proces with a few other online stores and Snapdeal is selling everything costlier than other stores. So deals or online shopping, its not worth even a try. This is so disgusting!! I too had a similar interaction with Snapdeal but with online purchases. Very pathetic service and damn slow response. I later decided not to get tempted with these offers on snapdeal and stopped buying anything at all from them. Next in the line is Shopclues. Thank God you told me about Shopclues. At one point in time, I was continuously watching Shopclues a year and a half ago, when I wanted to give it a try. Then I read a few complaints on their FB page. Now that you have confirmed, I will never look into that direction. Thanks Tejinder, I am fine by now. Viral is spread all over India these days. 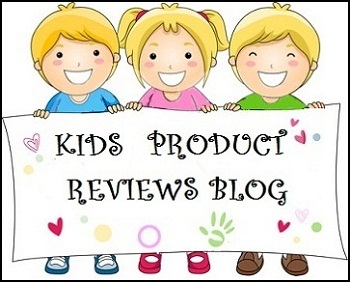 I was very upset with their bad experience and when I started this blog, I thought of reviewing them but then passed the thought. But after this recent experience, it became worth sharing and got to know so many other people have equally bad experience shopping with them. but with most online sites...its a hit or miss scenario per purchase...I buy em...n then I kneel n prayyy before the online Gods dat my purchase goes right. After reading it...I have to change my mind for snapdeal services.they are really horrible. Thanks for your feedback Akshay. I saw your other comment under 'Online Shopping'. Seems you have shopped with Snapdeal and were lucky to have a good experience with them. Recently during Jan 2015, I had ordered couple of Automobile accessories from Snapdeal. They delivered entirely different product from what they displayed in their site while ordering. The product quality is damn cheap and you can get such quality in every city corner shops. Then I decided to check with the customer care and lost my energy to get a help from them. I strongly decided and stared sharing with my friends circle that don't tempt for any product from Snapdeal. Don't loose your money and disappoint from their service. It is not worth to discuss about this retailed anyone. Don't waster your time, money and energy. Just Ignore.